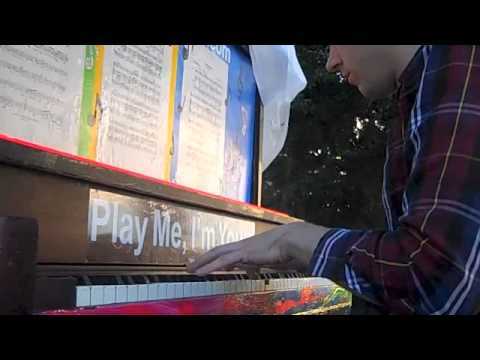 Touring internationally since 2008, ‘Play Me, I’m Yours’ is an artwork by artist Luke Jerram. 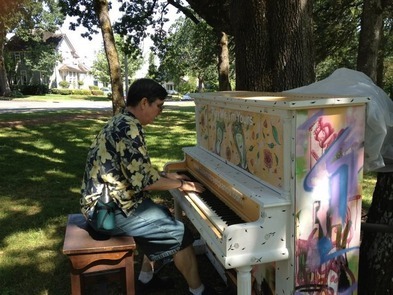 More than 600 pianos have now been installed in 26 cities across the globe, from New York to Sydney and now Salem, Oregon, bearing the simple invitation ‘Play Me, I’m Yours.’ The project has reached more than two million people worldwide, with each new city that commissions the work becoming part of a growing legacy. 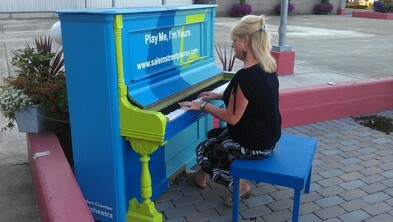 Salem Chamber Orchestra brought Play Me, I’m Yours to Salem from July 13-29, 2012, with 11 street pianos distributed across the streets of Salem and Keizer. Located in public parks, streets, and even on the Union Street Pedestrian Bridge, the pianos were there for any member of the public to play and enjoy. 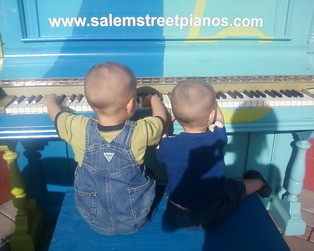 After being in place for two weeks, the pianos were donated to local nonprofit organizations. 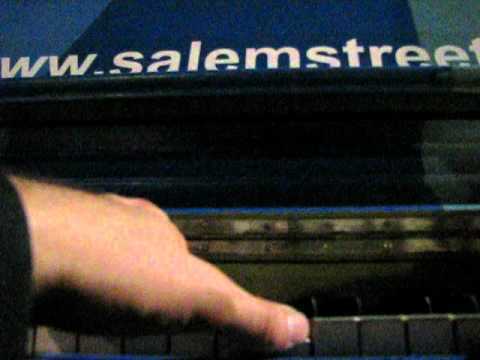 This website was made for you to post your comments, videos, and photos about the pianos. While documenting each piano’s journey, this website connects the pianos and their communities across the city. Click on a location to post your films, photos & comments or to see other people’s. This was an amazing and delightful experience. 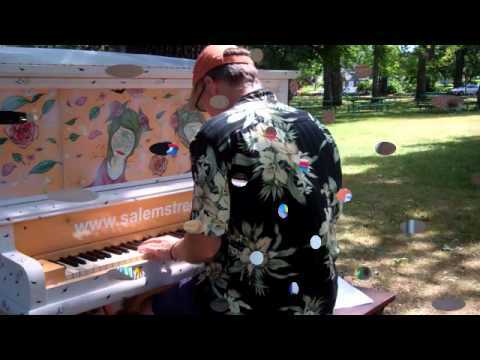 I had the best time finding and playing each and every piano around Salem. Thank you! 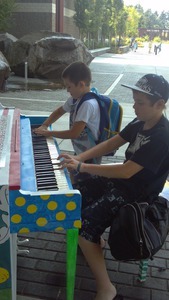 My son and nephew always have to play the piano when we arrive and leave the kroc center....always!! I couldn't let this remarkable event go without a video of it all. More all over this site. The piano has been calling me....had to stop and play on my way into work this beautiful morning!